To view the magazine layout of this article in PDF format click here. In a world of mass production, replicas and standardized products, it can be difficult to find something unique. 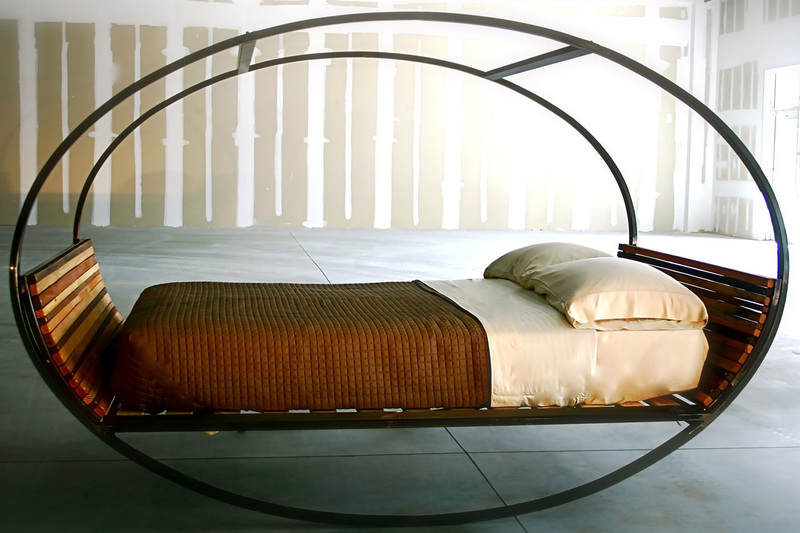 Homespun Design seeks to counter-act this trend with its handcrafted, American made furniture. 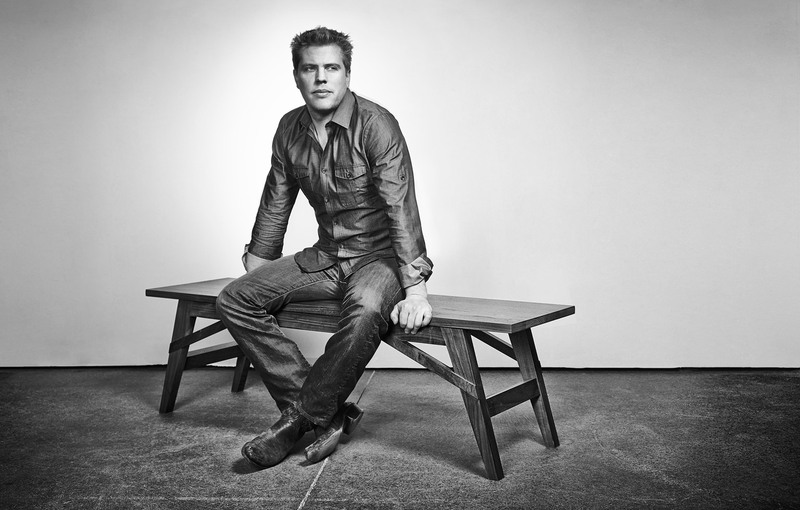 Founder, Joe Noonan, combines classic techniques of the past with modern technology of today, to bring distinctive home décor to the masses, with the expectation that it will last for generations. He has partnered with select crafters across the country to ensure the highest quality of work and greatest preservation of the environment. These “makers,” as they are called, source their wood from sustainable logged forests, to help eliminate waste. Since the makers’ work is of such high quality, there is a great chance these pieces will not wind up in a landfill. 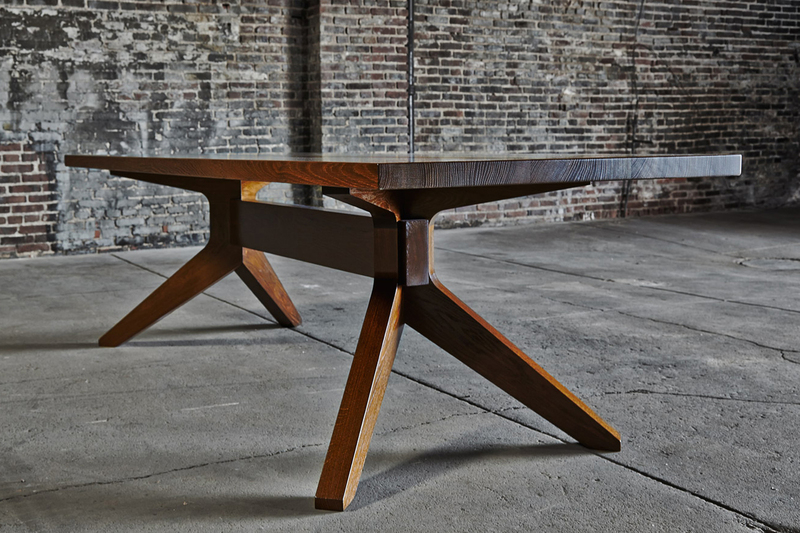 Homespun is affiliated with the Sustainable Furnishings Council, which strives to raise awareness of sustainability issues and inspire eco-friendly decisions in the wood-working industry. We spoke with Joe Noonan about his unique operation to learn more about his success. He started Homespun Design with the idea of bringing together the smaller, undiscovered craftsman to buyers looking for custom pieces. “Most online furniture retailers cater to the mass market, which makes sense since it’s the biggest,” says Joe. “But I had seen the beautiful furniture that smaller, highly skilled American makers were creating, and I felt like that market was underrepresented online. It’s a niche we were thrilled to fill.” And so they do. 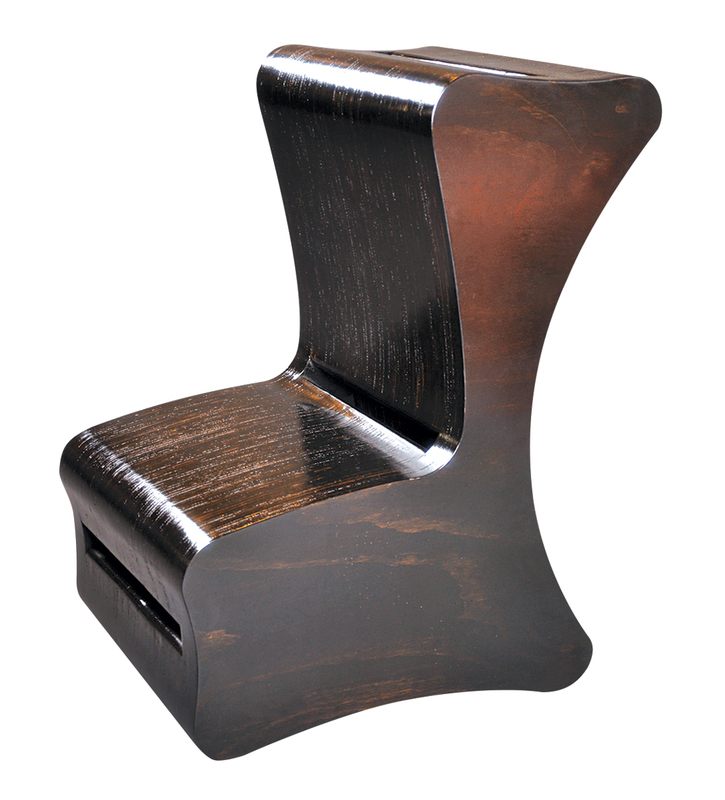 Joe’s seventeen wood-makers provide a variety of products for the bedroom, dining or living room, with wood choices such as maple, walnut, cherry or oak. If you’re looking for more custom, they provide customization options on everything from finish, type of, and scale of the furniture to suit the needs of your own space. Homespun Design standards are high. They are choosy on the makers they work with. “Our plan is to maintain a fairly curated offering, with a high bar for the makers we work with. That said, we do have plans to expand from the current set of about a dozen makers to 20-25 by the end of 2014.” With this addition to his crew, Joe intends to increase their product line to include upholstered pieces and decorative accents for the home in 2015. Martin Goebel, founder of Goebel & Company, operates out of St. Louis, Missouri. 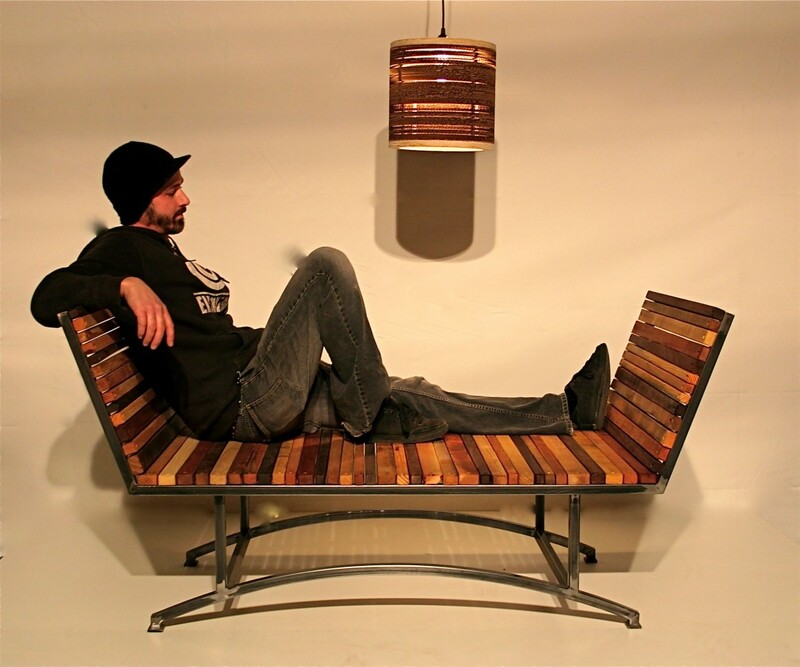 He graduated from the Rhode Island School of Design with a MFA in Furniture Design. He has owned his company since 2011, and features beautiful, yet practical pieces. He says his design style is inspired by the relatability of his products. “We look to create elegance through simplicity not dictated by trends. We accentuate basic forms by obsessing over proportion and functionality. Merging the flexibility of digital design, modern manufacturing and traditional handcraft, we create products that are second to none in quality of user experience.” His favorite designers include Bob Ross and Finn Juhl. When describing his experience at Homespun, he says it’s a model of how online retail can bring out the best in American products for the world to see and enjoy. Homespun offers a forum of well-curated craft-based businesses in a transparent and beautiful manner. They are a model for how e-commerce can bring the best of American products to the world. Movie character that best represents Martin. James Bond (of course), Connery, not Brosnan. What book is he reading now? Experience working with Homespun Design. Homespun has been solely judged and partnered based on one single thing, my first impression of its founder, Joe Noonan. He is charismatic, knowledgeable and instantly comfortable and trusted. The rest that follows Joe’s lead is what I’ve grown to know as Homespun, the comet tail that follows him around, respectfully. Joe Noonan, with his knowledge and charisma, is Manus’ favorite part of the Homespun experience. Who are Joe’s favorite designers? I just can’t answer this in singularity. My great friends, Georg Baehler of CFC/Noir and Nathan Leslie of NLD are two solid people who leave a legacy every day. Movie character that best represents Joe. I guess I am a mix between Owen Wilson and Michael Landon. At least, I hope I am. The book on his bedside table. Unequivocally…Out There (Dinosaur Jr.) Where you been? 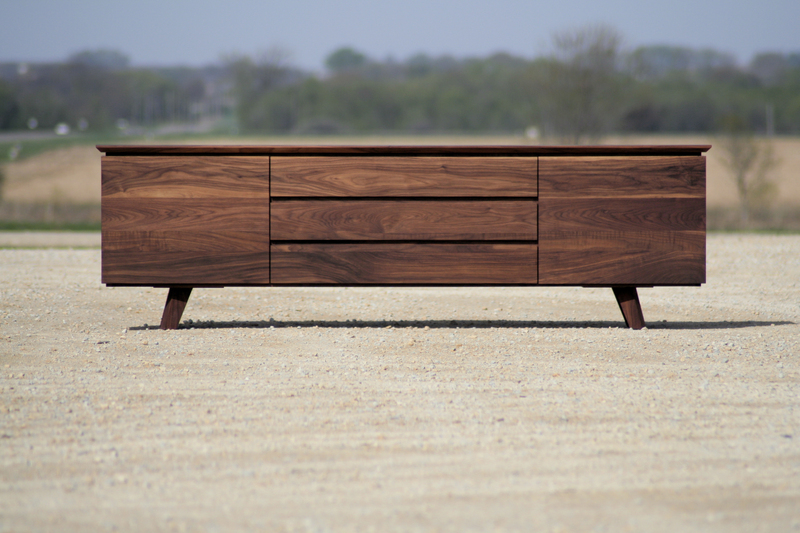 Eastvold Furniture was founded by Matt Eastvold in 2010 out of Dennison, Minnesota. Having a background in a metal fabrication shop, wood and metal are his primary resources. All of his wood, with the exception of bamboo, comes from within 500 miles of Dennison. He defines Homespun as professional and hard-working. Matt has a distinctive style as well, saying, “I really like to freshen up old designs, using new technology such as CNC (computer navigated cutter) and laser cutting. Laser cut steel and powder coating complements solid wood really well and creates a clean high quality product and look.” David Salmela from Duluth, Minnesota is his favorite designer. Joe and the rest of his staff have been very professional and hard working. I really appreciate their eye and how they have curated the site. What movie character is most like his own personality? I’m stumped on this one! I have no idea. What book is he reading? Favorite song, musician, or album. Album: White Crosses by Against Me! For more information on how to purchase your own handcrafted piece of the American Dream, visit homespundesign.com or call (800) 276-1401.